How can I integrate the Camera with a feeder? If I don’t detect a part, how can I use the information to trigger the feeder? I made a quick program showing how this can be done. First I have a variable called obj_found which is set to zero. Then I would have the camera locate. 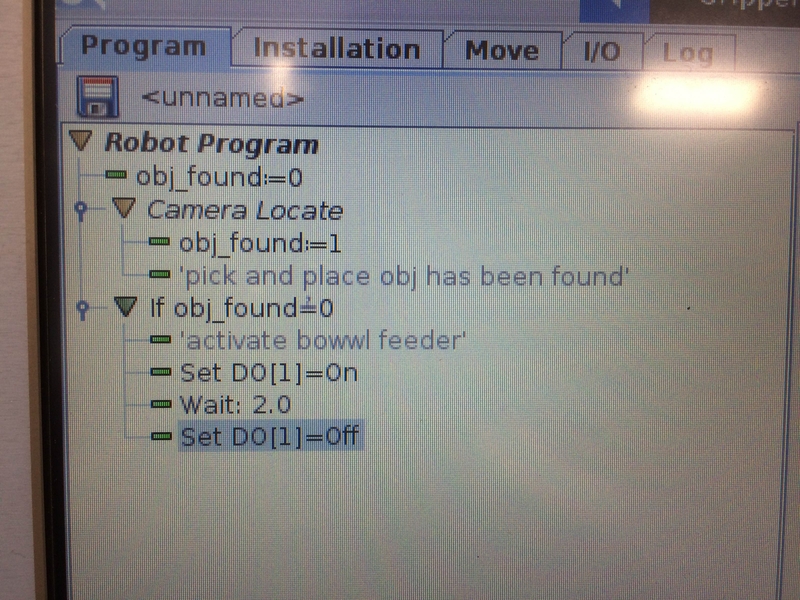 If an object has been found it would perform the child lines of the program under the camera locate. In these I would set obj_found = 1 to identify that an object has been located. Then the next command outside the camera locate would check on the obj_found values and activate the feeder if obj_found=0.